The Washington Justice	 Washington Justice OWL Rank #19 SanSam Kim Hyang-ki (김향기) off tank Gido Mun Gi-do (문기도) flex support sleepy Nikola Andrews flex support Stratus Ethan Yankel dps Corey Corey Nigra dps Ado Cheon Ki-Hyeon (천기현) dps janus Song Jun-hwa tank Hyeonu Cho Hyeon-woo (조현우) support Fahzix Riley Taylor support ArK Hong Yeon-joon support have bid farewell to coach Obasill	. Obasill joined the Justice alongside shrugger when the official team name and logo were unveiled for the D.C. Overwatch team. His departure puts the Justice down to five coaches. They are WizardHyeong, mkL, AVALLA, shrugger and Aaron Heckman. The last time the Justice were in the news was when they acquired ArK from the New York Excelsior after the team's Stage 1 matches concluded. The Justice only found one win in the first stage. That win came against the Florida Mayhem in their final match before the post stage playoffs. 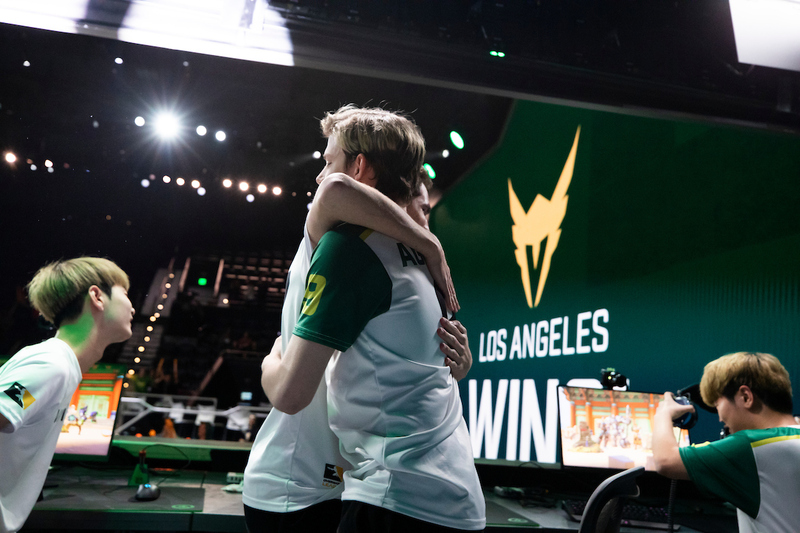 The Justice play against the Toronto Defiant to begin their seven games of Stage 2 on April 5.